You are cordially invited to a Steel Team Listing Open House today in the lovely Briargate area! This beautiful home is tucked right in the heart of Charleston Place of D20. 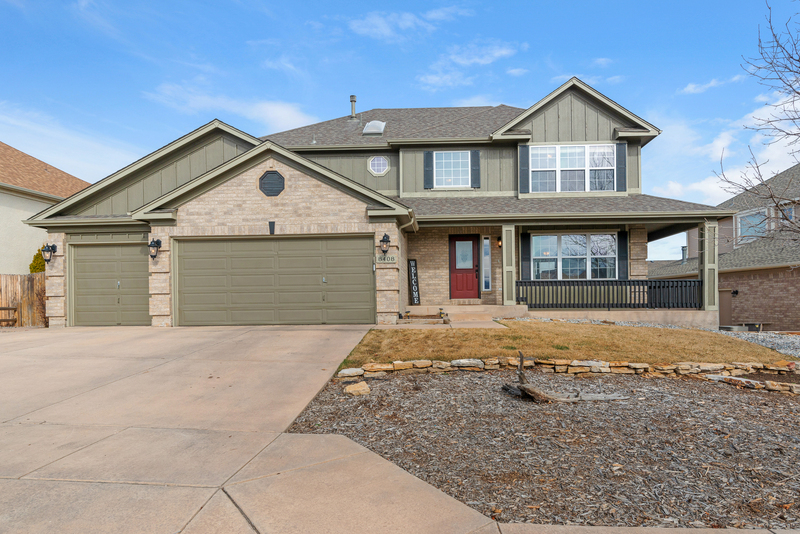 It is within walking distance to elementary, middle, and high schools, parks, and shopping! 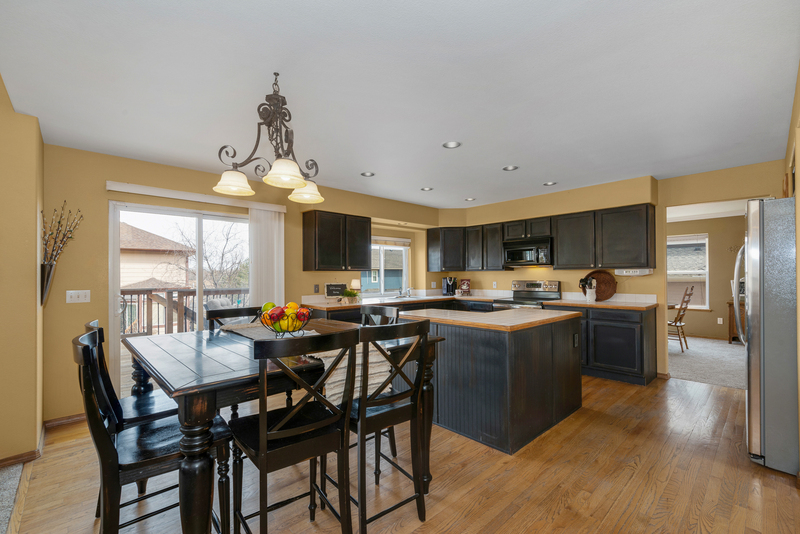 Bright, roomy kitchen with stainless steel appliances (including a new oven) and an island framed in beadboard. 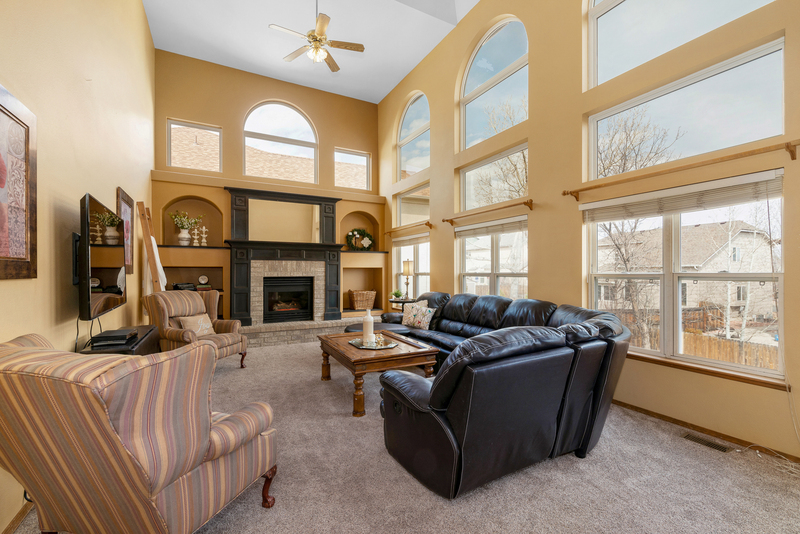 High vaulted ceilings and windows in the family room create a light and spacious living area. New carpet throughout the home. Master bedroom boasts a beautiful Pikes Peak view and an attached master 5-piece bath with two sink vanity. Expansive rooms throughout the home with a finished walk-out basement with pool table (included) leading to the hot tub (included). Extra carpeted room in the basement with floating walls for easy removal if not needed. Great for storage or that special need. Newer large custom tiered wood deck. Three car garage provides plenty of parking and work space. Come say hello and feel free to bring your real estate questions. We would love to see you!